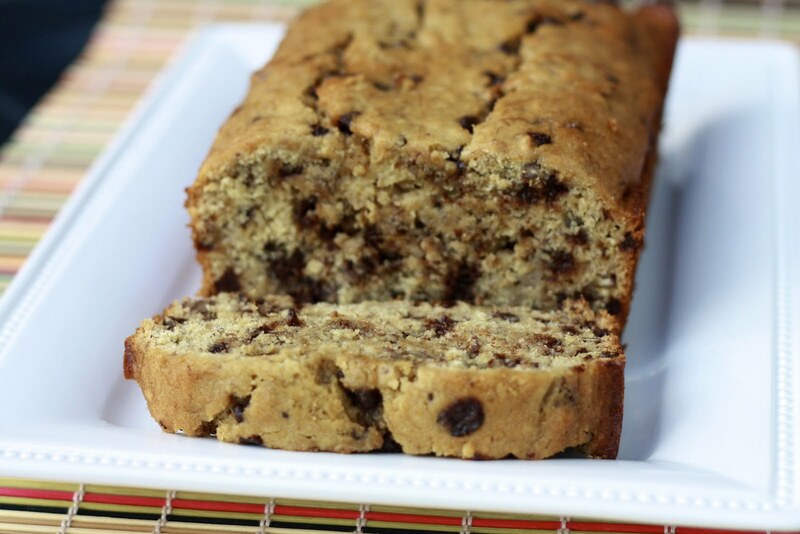 Growing up, we loved it when the bananas on the counter turned brown because that meant mom would be making banana bread! Now, I buy extra bunches of bananas about every other week just to let them turn brown to save for banana bread, banana pancakes, smoothies, etc. I've modified my mom's banana bread recipe (not sure where it came from) in an attempt to make it a bit healthier. I've replaced the all-purpose flour with whole wheat flour and cut some of the sugar in addition to replacing the shortening with applesauce. Even with these changes, the banana bread still tastes sinfully delicious and you can enjoy with a little bit less guilt! Ryan and I like our banana bread really gooey, so I typically take it out of the oven before it's completely set. Usually this leaves a nice gooey middle with firmer sides and crust. I'll be honest, we fight over the middle pieces of bread that have the biggest "good chunks"! The two of us can finish off a loaf of this in 2-3 days, tops! Mix all ingredients except for chocolate chips and nuts. When ingredients are well-combined, stir in chocolate chips and nuts. Pour into a greased 9 x 5 loaf pan. Let cool for 10 minutes. Cut into slices and enjoy! We like this warm right out of the oven, but I think I like it even better chilled in the fridge for a few hours.